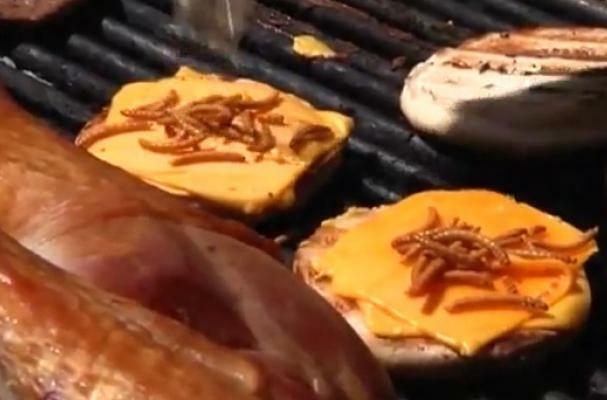 Jungle George's Exotic Meats and Bugs took its latest culinary creation, the maggot sandwich, to the Colorado State Fair, sparking a fire among adventurous eaters and those with picky palates alike. The squirmy, protein-packed larvae are approved by the U.S. Department of Agriculture for consumption and are grown on a California farm. George Sandefur, who runs Jungle George's, said that he went through some 23,000 larvae for his maggot sandwich at each of the state fairs for California and Colorado. Would you ever try this unusual delicacy?